Visit both Madrid or Lisbon and Casablanca in one trip. Royal Air Maroc flies the newest Boeing 787 Dreamliner between New York and Casablanca. 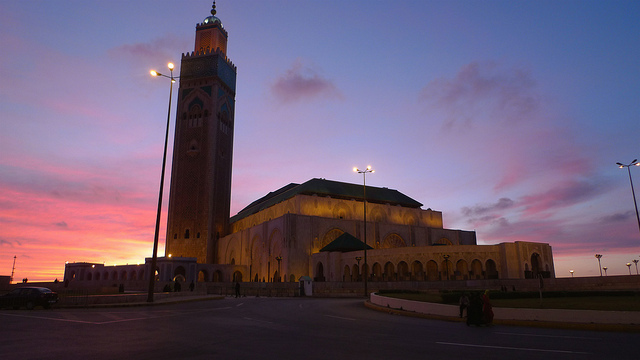 Here are some practical travel tips to Morocco. And some practical travel tips to Lisbon. Create an Iberia account, credit the miles there. It’s free. You can transfer the miles to British Airways program for cheaper mileage redemptions for most award trips. 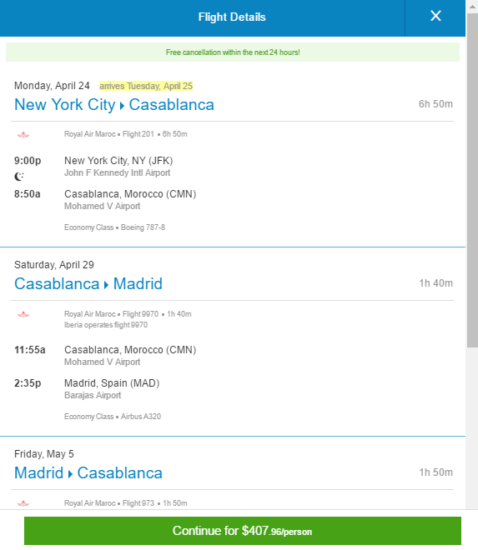 2 Responses to "Visit 2 Cities – Royal Air Maroc – $408: New York – Casablanca, Morocco and Madrid, Spain / Lisbon, Portugal. Roundtrip, including all Taxes"